If you have ever traveled long term through Europe you may have used the Europe Rail Pass, a great money saver and efficient way to get around. Of course, Japan has one that is even better. Enter... The Japan Rail Pass. With the pass, you can ride all you want throughout the country - except for one small stipulation. But the most important question is does the JR Pass actually save you money when traveling Japan? The simplest answer I can give you is: If you are going to Tokyo and Kyoto (a very popular itinerary in Japan) than 100% yes you should get it. Read on, as I answer all your questions on the Japan rail pass. Shinkansen Trains are also known as Bullet trains. I will use the term bullet train in this article but when in Japan look for the Shinkansen signs! The JR Pass stands for Japan Rail Pass and is more commonly known as the JR Pass. It is a unique pass for visitors, allowing unlimited access to the Japan Rail network, for a period of 7, 14 or 21 days. In my opinion, the Japan Rail Pass is the most economical way and the most practical for those wanting to explore Japan by train. The pass can be purchased for two different classes - a standard (or ordinary) car and a green (or first-class) car. The cost depends on how long you want to travel for. The pass is available for 7, 14, or 21 consecutive days of travel. Remember, just because you are going to Japan for 10 days total doesn't mean you need to buy the 14-day pass. You could also choose to do as I did, and buy the 7-day pass and simply not activate it until you leave for Kyoto. Side note: These were prices in USD in November 2017, with the current exchange rate. This is just to get you a general idea of the price point. As I said above, even if your only travel plans while in Japan consist of taking a train from Tokyo or Kyoto (or vice versa) the shortest pass makes sense. 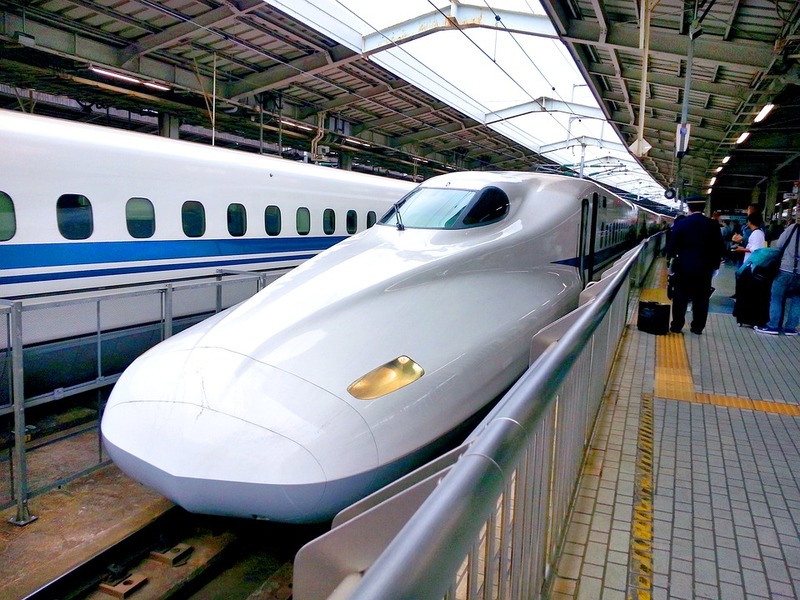 The bullet train from Tokyo to Kyoto, one way, costs about $150 and round-trip about $300. You do the math or use this calculator to figure out if your itinerary should include the pass. You must be a foreign tourist visiting Japan. This means that your passport has been stamped as "Temporary Visitor" when entering the country. You cannot purchase the JR Pass if you use any other type of visa to enter the country. Also, you must present your passport at the time of exchange inside Japan. YOU CANNOT USE A PHOTOCOPY! What trains do you have access to with the JR Pass? Of course, you have access to all JR trains - hence the name. These connect the cities of Japan as well as the suburbs of big cities. Think: Tokyo Center and Kyoto center to its suburbs. I also used the pass to get to Arashiyama from Kyoto. The pass also includes free rides on the monorail from Handea Airport to the closest JR train station which will save you money as well! The pass is also accepted on a variety of other train lines.... Here is breakdown. Always check online and in your guide book to make sure avalibility did not change. Aoimori Railway for journeys starting and ending at Hachinohe and Aomori only, and for journeys from these stations to Noheji and the JR East Ōminato Line. What trains are NOT included with the JR Pass? All subway lines are not included on the JR Pass. For the subway, you will have to buy a Pasmo pass (read more on subways here). In regards to bullet trains, also known as Shinkansen, there is only one line not included in the pass. This is the ultra high-speed train from Tokyo to Kyoto - it's name is Nozomi or Mizuho. DO NOT GET ON THIS TRAIN. It costs about $300 a ticket (each way) and your pass does not cover it. Side note: I took the wrong bullet train (on accident!!) and the extremely nice attendant let me get off at that next stop and switch to the local train. (BTW, you can read my full JR experience at the end of this article.) I got extremely lucky. Don't be like me. Pay attention to the train sights. BEFORE (!) you leave for Japan, head here and buy the pass. Choose between 7, 14, or 21 consecutive days of travel. Enter your information carefully, it must match your passport for you to activate it in Japan. A voucher will be mailed to you (in 24-48 hours) that you will exchange at an office in Japan. 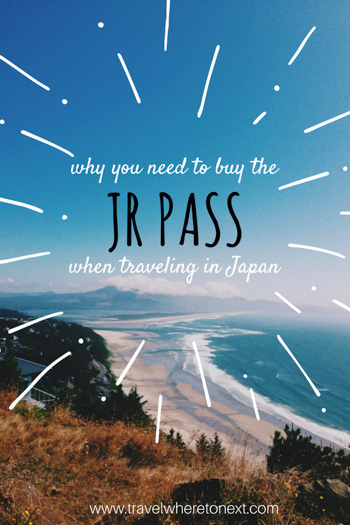 Can you buy the JR Pass in Japan? Starting in March of 2017 (and ending in March of 2018) Japan is testing selling the pass in select train stations. But, at a more expensive price. So it is possible to get the pass once you get to Japan but you will be paying a premium. I bought my pass before I left for Japan (actually 72 hours before I left) and would recommend buying it ahead of time. How do you Activate your pass in Japan? Once you arrive in Japan, you will need to find a JR office. Most major train stations in every city have a JR office. Also, the booklet that comes with your exchange voucher lists exactly where all the offices are in each city. Enter the office and let them know you are activating your pass. They will check your passport against the voucher name and exchange it for the actual pass. DO NOT LOSE THIS! Do I need to make reservations for any JR Trains? No -- I think. Let me explain... I asked the attendant when I got my pass if there were any trains I needed to make reservations for. I was mostly concerned about the Tokyo to Kyoto route. She assured me that I did not because that route has so many trains leaving for it every hour. She also assured me that you almost never have to make reservations for any train. So no, I do not think you will have to make any reservations. But this was just one worker in Japan opinion. I am not positive this is true. When you activate your pass, let the attendant know what routes you want to take and inquire about making reservations. Important Info: All reservations with the JR Pass are FREE! If you I don't need a reservation, how do I take a bullet train? Show up to the station, and find the non-reserved cabin cars. These are usually in the front of the train. If you need help finding which cars are non-reserved seats look at the LED signage on the platform. They will indicate which car numbers are reserved and non-reserved. Once you get to the right cabin, look on the ground, there will be lines to form a queue. The Japanese love to queue and take it very seriously. Get in line in the queue and once the train arrives let everyone off before entering the train from the queue line. How do I enter the Station with the JR Pass? JR Train Station: Anytime you enter the JR station head to the window (next to the turnstiles) to show your pass. At most stations, the attendants will simply glance at it, and let you through. It is rare (I never encountered it) that they check the pass against the passport name but have both out just in case. Japanese are all about efficiency, you don't want to hold up the line! Bullet Train: Make sure you sit in one of the cabins that are for non-reserved seats only. Look up at the LED signage on the platform, each cabin says if it is reserved or non-reserved. Once on the train, have your pass and passport out for an attendant to check as they walk through the aisles. Sometimes the check doesn't happen until quite a few stops in. Is it easy to navigate Japan? YES! I found it so ridiculously easy. Google maps works wonderfully in Japan and I used it for every route. It never lead me the wrong way - thank god! All of the stations, this includes huge train stations, subway lines, and even small towns, had plenty of English signage. Apparently, Japan is preparing to host the Olympics in 2020 so they are making everywhere extremely easy to get around for English speakers. If you do get lost, the staff in and around the train stations are extremely friendly. So many times, I would have a bewildered look on my face because I was trying to figure things out. A conductor (!) or staff member would always stop and help me. Japan is one of the nicest countries I have ever seen. And a huge reason why I think it is one of the best places to travel solo to! What are the trains like in Japan? In one word: Amazing. I will state that I live in New York, so my train quality bar is extremely low. But I left Japan so impressed with their trains and train stations. Japanese trains are modern, extremely clean and roomy and comfortable. Speeds will vary depending on which train you are on. But, if you’re riding a bullet train, you will travel at speeds as fast as 320 KPH. The crazy part is you really don't even feel the speed. It is so smooth. I loved using the JR Pass and thought it was such a great way to save money in the expensive country that is Japan. I definitely recommend it. I also found that navigating the different train stations was quite easy. There are English signs everywhere and everyone is so friendly. If you do make a mistake, like I did by getting on the one ultra high-speed train that is not included, they may even be nice enough to let you off without paying the full price. I also like that because I had the pass I could do last minute traveling for free. One morning the weather was perfect in Hakone (a great place to see Mt. Fuji) so I hopped on a JR Train and then a bullet train out to Hakone. Since I had the pass it was all free! All in all, after a veryyyy long article...I say, YES! Buy the JR Pass.